SLH Bookkeeping provides a wide range of services in a professional and friendly manner. SLH Bookkeeping is a registered BAS Agent, therefore you can be confident we are more than qualified to provide our services to your business. We provide bookkeeping and admin services to small, medium and large businesses, sole traders, trusts and self managed super funds. We process payroll for clients and email pay slips. We can upload via data file to your bank, or advise you details of the required payments. This service can be a real time/worry saver for you. We calculate and prepare monthly and quarterly BAS on a cash or accrual basis. We provide profit & loss reports, balance sheet, end of month reporting and invoice financing processing and reporting. We provide all accounts to lock up stage and forward to your accountant at the end of the financial year on your behalf and can liaise with your accountant. SLH Bookkeeping provides a wide range of services in a professional and friendly manner including bank reconciliations, accounts payable, accounts receivable, payroll, job control, instalment activity statement, payroll tax returns and financial reporting. SLH Bookkeeping is a registered BAS Agent, therefore you can be confident we are more than qualified to provide our services to your business. We deliver on every deadline and pride ourselves on our professional performance on exceeding our customers expectations. SLH Bookkeeping and Admin Services provide qualified bookkeeping and administration to the Hills, Foot Hills and outer Perth, offering a cost effective, helpful and prompt service. We specialise in the hills, covering Stoneville, Parkerville, Mundaring, Glen Forrest, Hovea, Darlington, Gidgegannup , Sawyers Valley, Chidlow and all adjacent areas. We also do work in the foothills, and other areas. SLH Bookkeeping provides bookkeeping and admin services to small, medium and large businesses, sole traders, trusts and self-managed super funds. We are flexible, reliable and supportive to our clients who range from Transport and Logistics, Network Communications, Mining and Earthmoving, Electricians, Safety, Printing, Hairdressing, Medical, Vending and Hospitality. SLH Bookkeeping commenced in May 2008 after ten years of tax and compliance on Self-Managed Superannuation Funds in Public Practice in the CBD. Sarah holds a Diploma of Accounting, Diploma in Superannuation Management, Advanced Diploma in Financial Services (Superannuation), PS146, Certificate III & IV in Financial Services (Bookkeeping), Certificate in Office and Secretarial Studies. Sarah is a registered BAS Agent and is a Practicing Member of the Institute of Certified Bookkeepers. SLH Bookkeeping since inception has built a successful business based on client and accountant referrals and has a variety of clients with many different needs and requirements. Choosing the right bookkeeper is an extremely important business decision. Making the wrong decision could have devastating effects on your most valuable assest - your business. 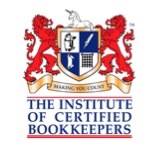 You should always ensure your bookkeeper is qualified and has completed relevant qualifications. It is also preferable they belong to the appropriate Institutes or Societies so they remain current in modern requirements. 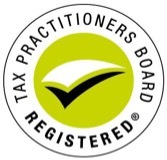 The Tax Practitioners Board (TPB) is a national body responsible for the registration and regulation of tax agents, BAS agents and tax advisers. SLH Bookkeeping provides a prompt and reliable service to businesses, sole traders, trusts and SMSF's in Midland, the Hills, and the outskirts of Perth from North to South. We conduct our business from a professional office environment based in the Eastern Hills to support your needs. The pick up or dropping off of files can be arranged.